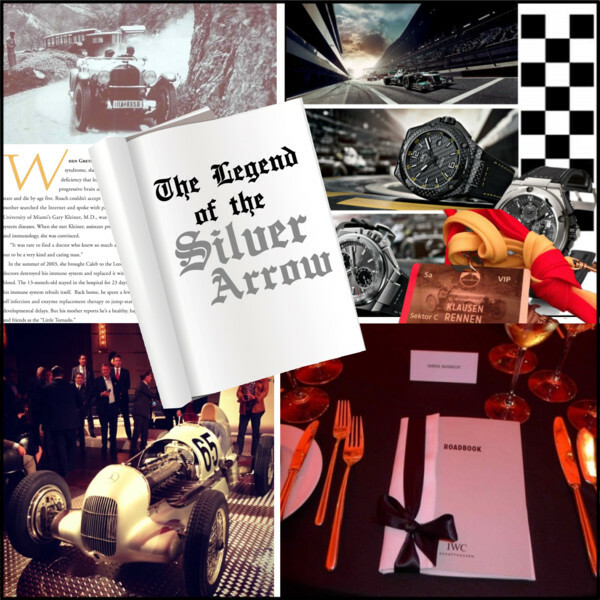 Yesterday evening, I was invited by IWC Schaffhausen to celebrate at Zurich’s Dolder Grand Hotel the legend of the famous Silver Arrow. 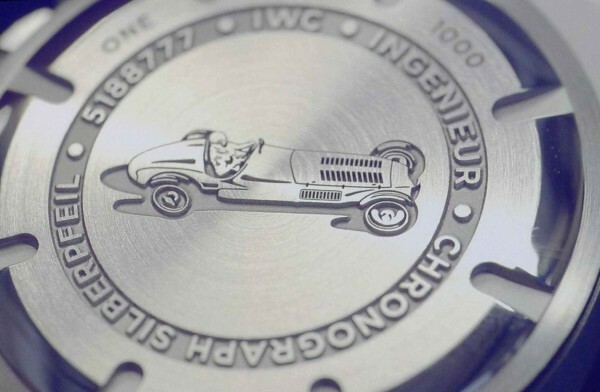 The slogan “IWC. Engineered for Men.” got a whole new meaning when I entered the room as I was one of the only women there. 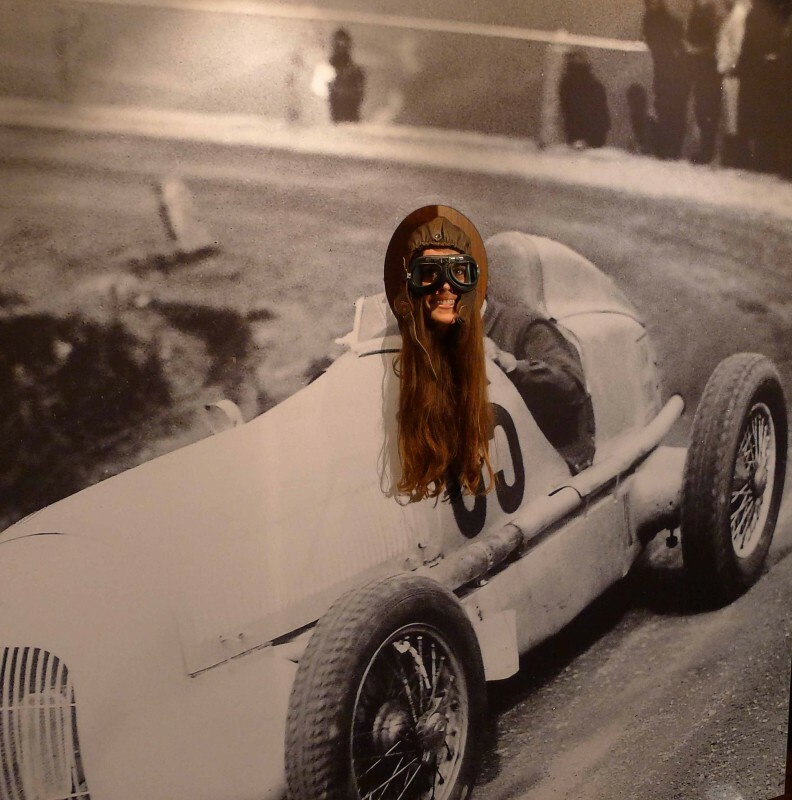 But as I love cars, watches and speed, I felt very much at ease. 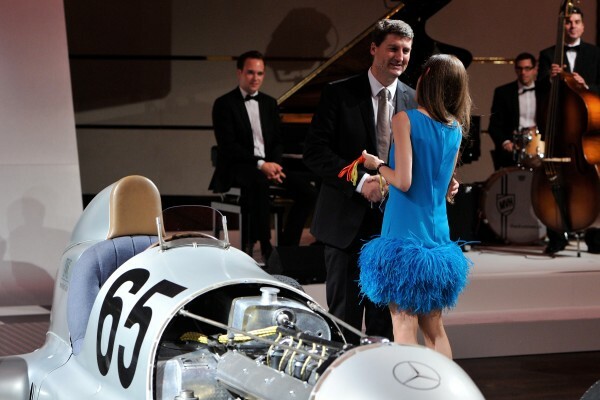 The star attraction of the event was a vehicle that has gone down in the annals of motorsport and laid the foundations for that legend: the Mercedes-Benz W 25. It set up the course record in 1934 and came in for a pit stop in Zurich on its journey back to the course in central Switzerland this upcoming weekend at the 11th International Klausen Hill Climb 2013. 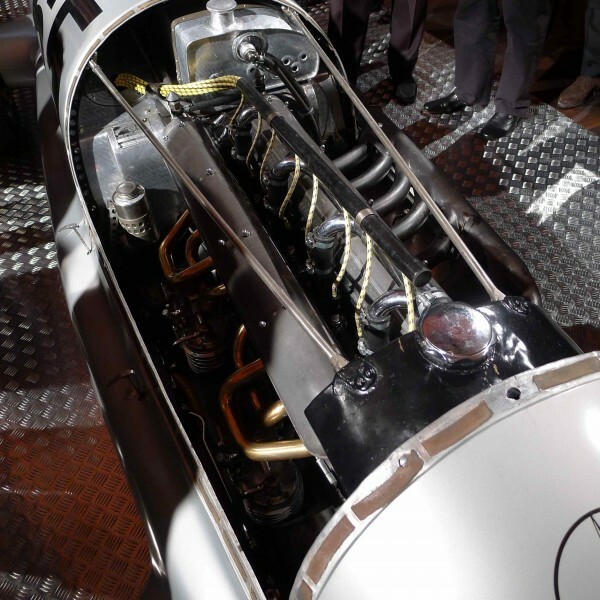 The W 25 on display with the characteristic silver aluminium bodywork that earned this vehicle and its successors the nickname “Silver Arrow” is the last roadworthy model in the series and at the same time the jewel in the crown of the Mercedes-Benz Classic collection. Having fun with my colleagues, Dörte Welti and Jeroen van Rooijen. Black-and white photographs and film footage transported us back to the world of the 1920s and 1930s – the era of the original Klausen Hill Climb races. 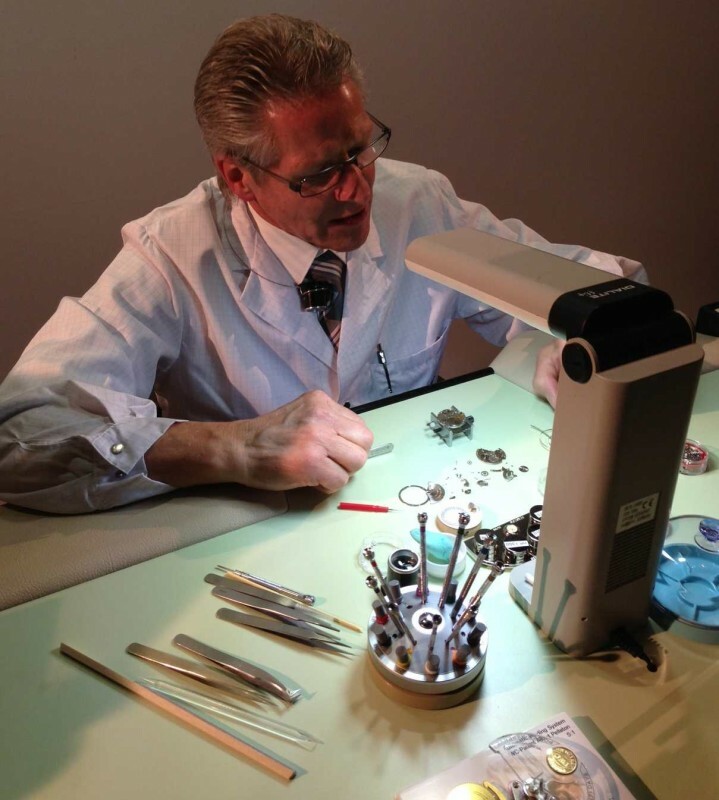 In the foyer, we had the opportunity to peek over the shoulder of a watchmaker at work. 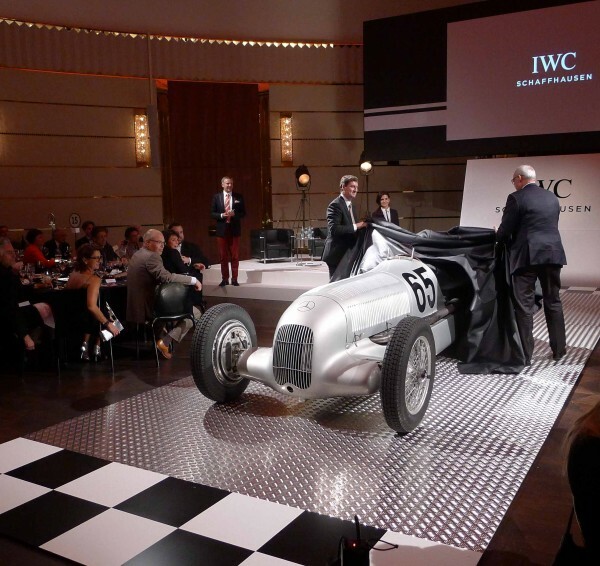 All very fitting, because the designer engineers at IWC Schaffhausen took some of their inspiration from the W 25, and, as part of the relaunch of the Ingenieur watch collection in 2013. 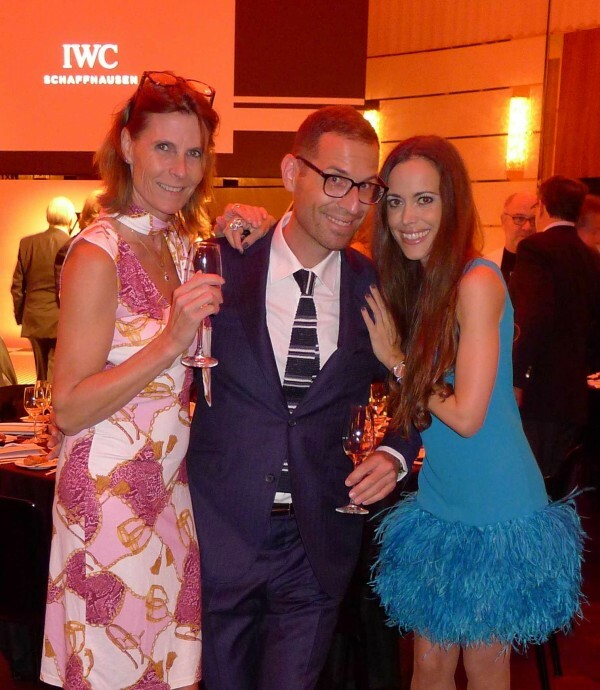 The best was yet to come, I won the main prize that was presented to me by Linus Fuchs, IWC Managing Director Switzerland. See you this weekend at the Klausen Hill Climb!